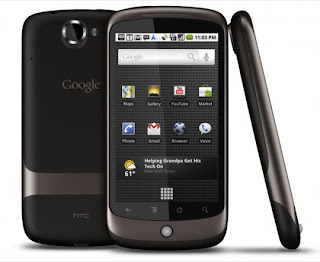 Google's Nexus One is following in the iPhone's footsteps. Its 3G connectivity is spotty, and Google is hurrying a patch, just as Apple was forced to do when it introduced the iPhone 3G. Thanks to some sharp eyes at Cnet's Deep Tech, we've been alerted to a blog post in the Nexus One help forum in which an apologetic Googler writes that, yes, Mountain View is aware of the 3G problems "some of you have been facing," and that help is on the way. "Our engineers have uncovered specific cases for which a software fix should improve connectivity to 3G for some users," he writes. "We are testing this fix now, initial results are positive, and if everything progresses as planned, we will provide an over-the-air software update to your phone in the next week or so." If this sounds like the proverbial déjà vu all over again, that's because Google's 3G travails mirror those of Apple's iPhone 3G, which also had a rough time out of the gate when it came to 3G connectivity. The iPhone 3G's OS was patched not once but twice before the problems faded - but not before Apple was threatened with a class-action lawsuit due to its poor initial performance. The relationship between Apple and Google may be icing up - so much so that Apple is reportedly thinking of jumping in bed with Bing - but it appears that Mountain View still has a thing or two to learn from Apple.